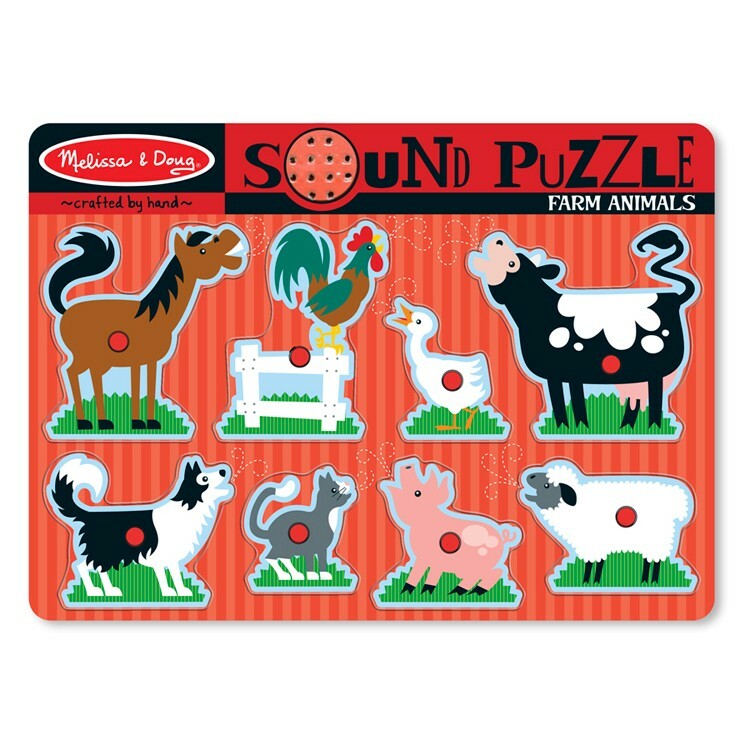 Learn the sounds of toddler's favorite 8 farm animals and play farm with this colorful Melissa & Doug's farm sound puzzle. Farm Animals 8pc Wooden Sound Puzzle is a new colorful edition of Melissa & Doug's bestselling farm sound puzzle for toddlers and preschool kids. 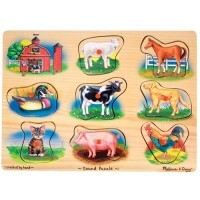 This first sound puzzle features 8 your child's favorite farm animals. 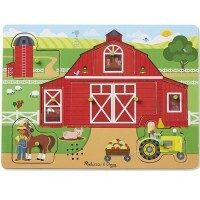 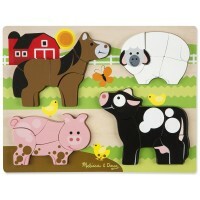 Place the wooden pieces correctly in the wooden puzzle board and hear the barn animals sounds! 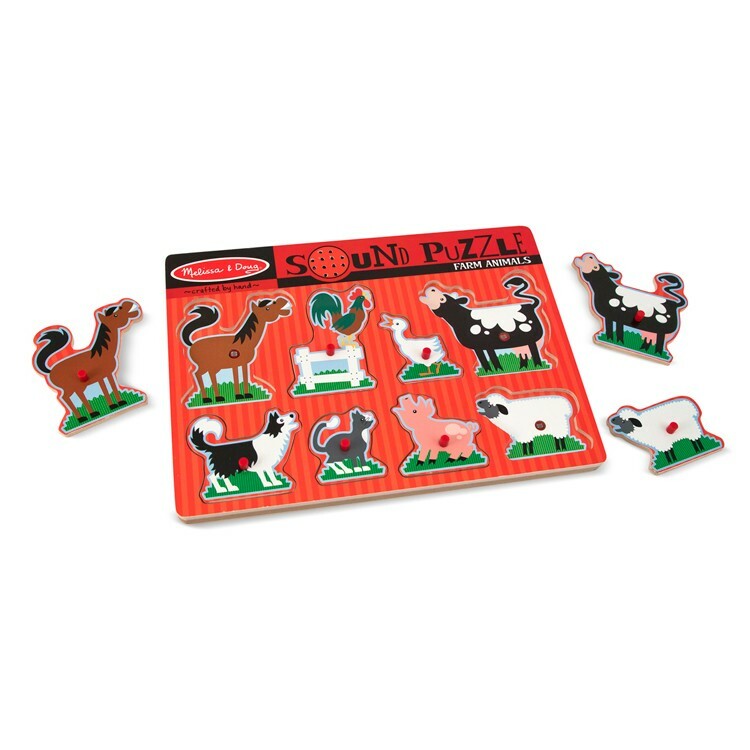 Each farm animal puzzle piece has a full-color picture underneath to assist your child in finding the right home for the piece. 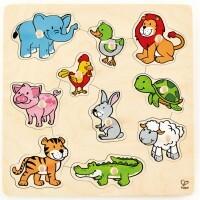 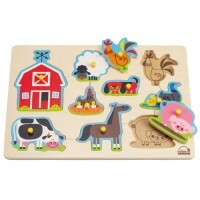 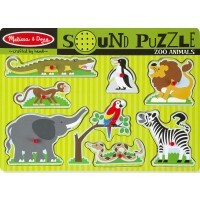 The Farm Animals 8pc Wooden Sound Puzzle from Educational Toys Planet features easy to grip pegs on each wooden piece. 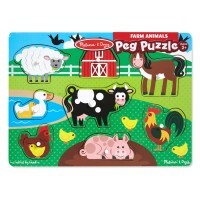 Learn the sounds of a horse, a rooster a duck, a cow, a dog, a cat, a pig and a sheep and play farm with the friendly barn animal puzzle pieces. 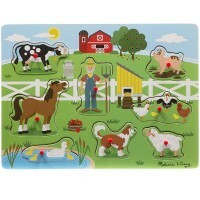 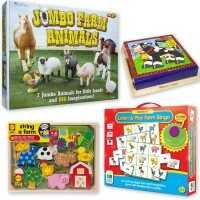 Write your own review of Farm Animals 8pc Wooden Sound Puzzle.